What were some of the first games I owned for each game system? Glad you asked*. Gave me something to write about this week. It should be pretty easy for me to remember this. At least I hope so. We'll see if I can remember all of them! This is a list of every game console and handheld I own presented in the order they were released, which isn't necessarily the order I got them in. For instance, I didn't have a Sega Master System until well after it was initially released, but it's one of the first systems on this list. It's difficult to say with the Atari 2600. Way back in the spring of 2013 I wrote the first of an eight part series of articles about my history with video games. In it I talked about getting the Atari 2600 and how it came into my life. I was given the system by my grandma along with roughly 10 or so games. 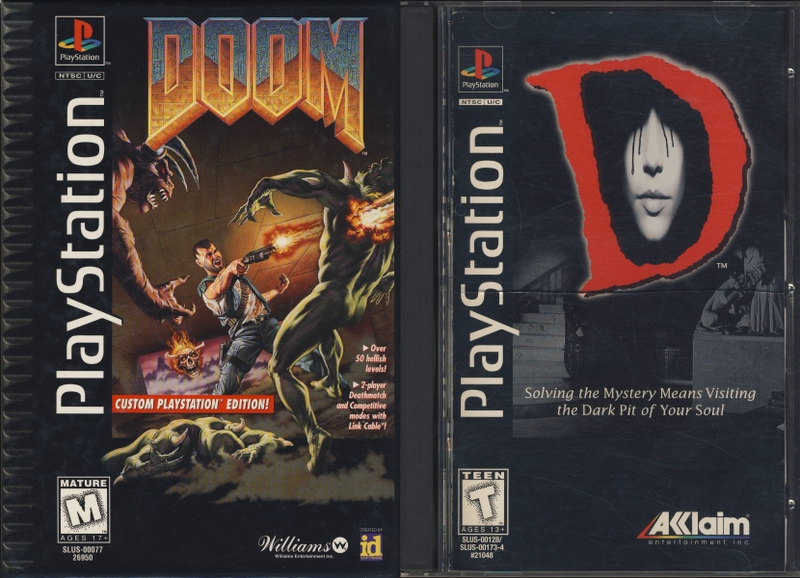 For the purpose of this article, I will say that the first games I got for the system after that initial acquisition were E.T., Haunted House, and Jungle Hunt. Super Mario Bros./Duck Hunt was packed in with the system. The earliest games I remember getting for the system otherwise were Castlevania II: Simon's Quest and Zelda II: The Adventure of Link. 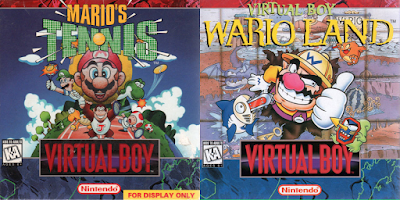 Both of those games came out at the end of 1988, so it was probably somewhere in mid 89 when I got them. 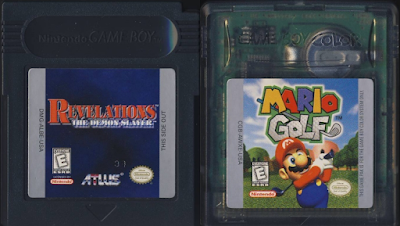 It's odd how both of those games are considered extremely difficult today, but I played and finished them both as a child. This is a game system I got well after it was released. I got it from a friend of mine who at the time had a bit of a drug problem. He sold off a lot of his old games to people (mostly me) to buy, I presume, weed. While yes, I can see the point one might make that I was helping him get high by buying his games, I look at it like if I wasn't buying his games, someone else would have. I can guarantee whoever that theoretical person is wouldn't still have them all to this day, too. So, I probably bought 18 Master System games from him along with the Master System itself. The first games I bought for it on my own afterwards were Phantasy Star, R-Type, and Rastan. I think my dad played the Game Boy more than I did, to be honest. He was very big into Tetris and was very good at it. Tetris came with the system, and the first game I got with it other than that was Super Mario Land. Super Mario Land was always a weird one to me. It doesn't feel like a Mario game at all. 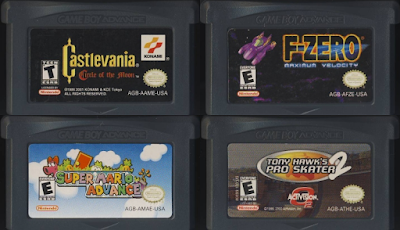 My early Game Boy selection also included Final Fantasy Adventure, Final Fantasy Legend II, and Teenage Mutant Ninja Turtles: Fall of the Foot Clan. I wanted a Sega Genesis so bad back then. I got one for Christmas one year and it came packaged with Sonic the Hedgehog. After I would open presents at my house, we would go to two sets of grandparents' houses. When we got to the first one, I was given Spider-Man. These two games saw heavy, heavy play from me. Spider-Man especially since I got the game around the time I was getting into comic books. Other games I got for the Sega Genesis early on were Golden Axe II, ToeJam & Earl, and Wonder Boy in Monster World. Like the Master System, I didn't have one of these growing up. Everyone I knew did, but I was never really into it. I think the first Game Gear I got (I own three of them) came from a local pawn shop. My selection of games for this system is extremely lacking, and looking at them I have no idea which ones were the first I got. If I organize the cart scans I have of them in the order I made them, the first ones are Alien 3, Shinobi, and Spider-Man, so we'll go with that. Ah, the Super Nintendo. This is my favorite game system of all time. It came packaged with Super Mario World, which is my favorite Mario game ever. 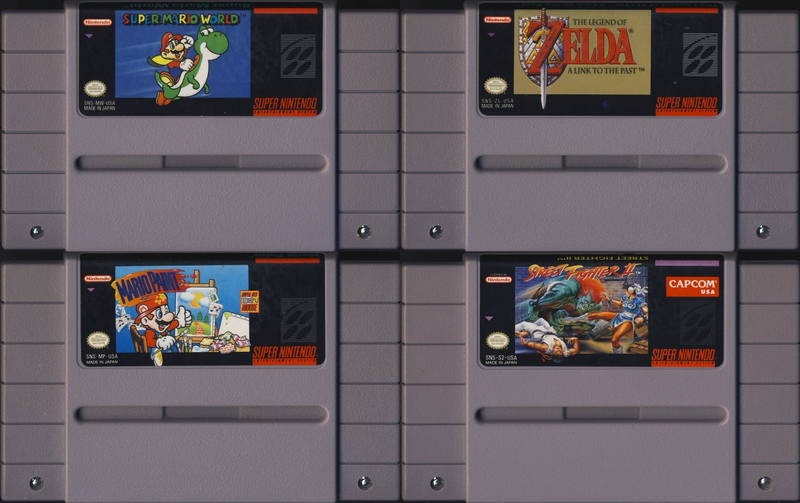 The Christmas I received the Super Nintendo I also got a few more games. 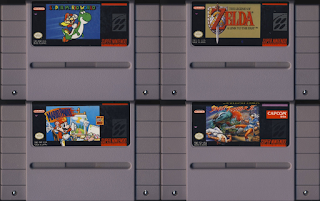 The Legend of Zelda: A Link to the Past, Mario Paint, and Street Fighter II were also under the tree that morning. Shortly thereafter I also got ActRaiser, F-Zero, and Super Castlevania IV. Yes, I had one of these, and I loved it. My group of friends were all about this system, and we all had one and played the crap out of it. I had a chance to get one of these earlier than I did, actually. I was given the choice to either go to the comic book store and get a few old Amazing Spider-Man comics or get a Sega CD. I chose the comics. To this day I wish I would have gone with the Sega CD because at that time it was a model 1 version, and I greatly prefer that one to the model 2. The system came packed with Sewer Shark, and I also got Ground Zero Texas and Sonic CD along with it. This thing is terrible. I actually got this at work, believe it or not. I don't know why it showed up when it did, but it was in a beat up box and it was super cheap. I guess it was supposed to be new, but I know I'm missing a cable or two that is required to make the system work. I have no idea what the first games I got for it were. I currently have 21 32X games, and they're just games I picked up here and there at pawn shops. I'm going to have to cheat here and say Doom and Star Wars Arcade. I chose those two because those were the first two games I ever saw for the system. Got this super cheap at Toys "R" Us as a kid. I came packaged with Mario Tennis, but I also got Wario Land along with it. I should have got more games for it, because I remember they all cost like $5 to $10 each. The system itself was $30, which was crazy. A pawn shop buy. The first time I bought this system it came in a big plastic case with foam padding inside and NFL Quarterback Club '96 and Virtua Fighter, neither of which had their jewel case. The Saturn is one of those systems that I can't tell you anything about. You can probably count the times I've played one on one hand. I don't have any of the heavy hitters for the system, and my collection for the console is abysmal. I have an odd history with the PlayStation. I actually sold my Sega Genesis, Sega CD, and all my games to buy one. Instantly regretted that move. In the end, I ended up trading my PlayStation and all my games to a friend for his Sega Genesis, Sega CD, and all his games. Very exciting. 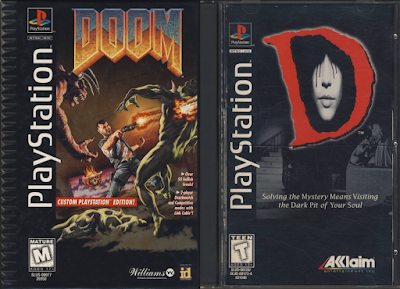 Initially for the PlayStation I got Doom, and that was it for quite a while. 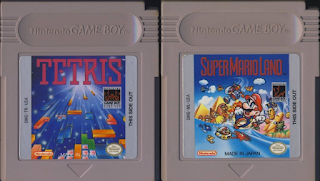 For some reason I then really wanted the game D. After finishing both of those games and becoming kind of bored with the system, I got Tetris Plus for Christmas. I'm not sure why I didn't get into the PlayStation, but I really didn't. I would later get a PlayStation 2 and start buying games for it again, and I'm currently up to 124. I know that's not a whole lot for the system considering there are so many games for it, but it's a decent collection. The options were slim on launch day for the Nintendo 64. 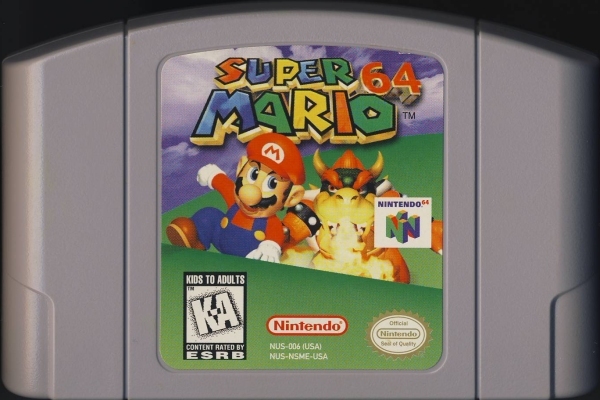 You could either get Pilotwings 64 or Super Mario 64. I chose Super Mario 64. I remember when my mom went to Electronics Boutique to pick up my pre-order she called back to the house and asked me if I wanted Pilotwings 64. I had no interest in the game, so I told her no. That's weird to think that I would have turned down a game that was being offered to me back then, but I totally did. This one is a bit confusing. I got the Game Boy Color for Christmas along with Pokémon Blue, but I don't count Pokémon Blue as a Game Boy Color game. The first game I got for it that had color enhancements was Revelations: The Demon Slayer. It was maybe the first game I ever bought with money I had earned from work. The second part to this is the first Game Boy Color exclusive game I got. 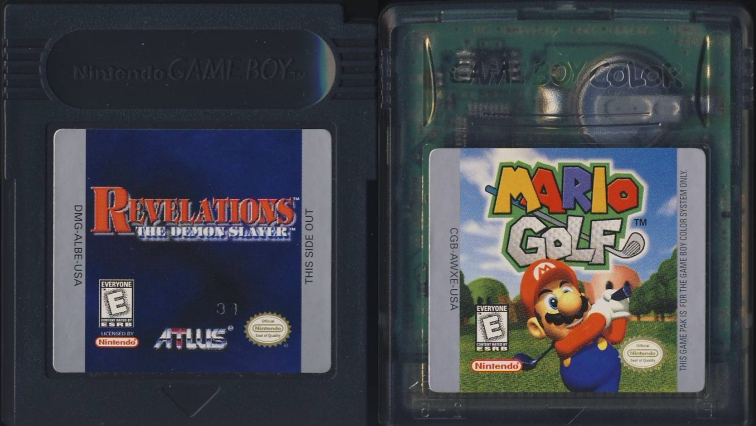 Mario Golf was the first game I bought that could only be played on the Color. I was confused when I opened up the box and saw the clear cartridge inside the box. I love this system. The Dreamcast is an incredible game console with an incredible lineup of software. It was the first game system I bought with money I earned from work. I think I bought it when it had a price cut to $150. The first games I bought for it were Jet Grind Radio and Worms Armageddon. I barely played Worms, but I was very into Jet Grind Radio. I also bought Skies of Arcadia relatively soon afterwards. I didn't get a PlayStation 2 at first. I was a Dreamcast guy. I didn't quite see the appeal of the PlayStation 2 for a while because it didn't have anything that really interested me. 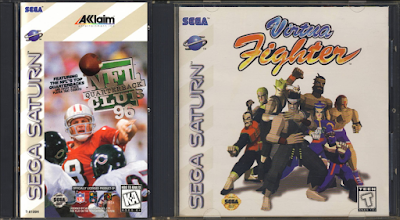 The only launch games I saw that looked like something I'd buy were Fantavision and Street Fighter EX 3. Yikes. It wasn't until I saw Silent Hill 2 at a friend's house that I knew I had to have one. 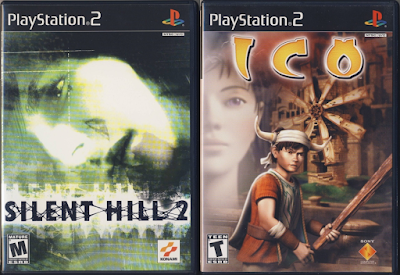 I actually bought Silent Hill 2 and a memory card before I even bought the console. The day I bought the console I also bought Ico, which I only played once and hated. Getting this system was a huge deal. I was so excited about it, and the launch lineup for it was tremendous. 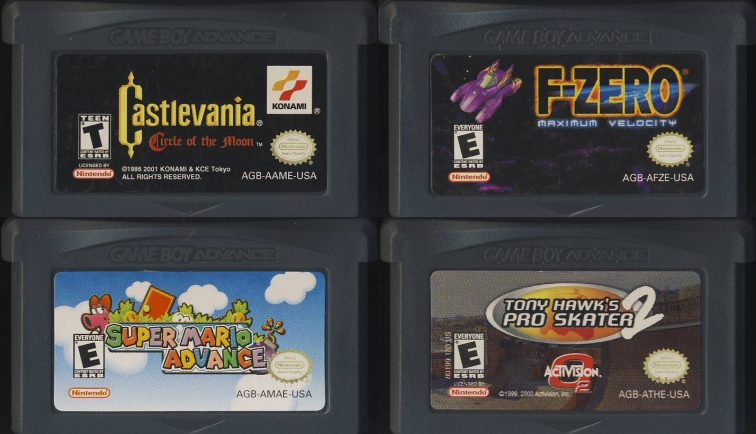 On launch day I picked up the arctic white Game Boy Advance, Castlevania: Circle of the Moon, F-Zero: Maximum Velocity, Super Mario Advance, and Tony Hawk's Pro Skater 2. Circle of the Moon got the most play for sure, but it was so difficult to see on that non-lit screen. Jet Set Radio Future/Sega GT 2002 was a pack-in game with the Xbox. I only played Jet Set Radio Future of those two and even then only briefly. I was more into Dead or Alive 3, to be honest, which I also bought. Halo was another early buy, but I have never been a Halo fan. It seems so... I don't know. I'm just not into the series. Actually, the game I probably played the most on the original Xbox was Tony Hawk's Pro Skater 2x. I played it to death on the Dreamcast, but I really liked making custom soundtracks in the Xbox version. On launch day I bought a black GameCube with Super Monkey Ball, Tony Hawk's Pro Skater 3, and Wave Race: Blue Storm. Since that day, I have played Wave Race a total of one time. I absolutely hated it. The controls felt way off and I didn't enjoy it at all. Super Monkey Ball was a pretty good game, but I played Tony Hawk 3 way more than anything. Even with that tiny little GameCube d-pad. Somehow. Super Mario 64 DS was pretty much the only thing you could get for the DS for a while other than Feel the Magic, which I received from a friend for my birthday after the system came out. 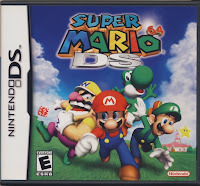 While Super Mario 64 is a good game on the Nintendo 64, it's incredibly difficult to control on the DS without an analog stick. Using that little pad thing for your thumb as an analog stick just doesn't cut it. It actually took me a long, long time to warm up to the DS. I don't think it was until Castlevania: Dawn of Sorrow came out almost a year later that I got into it. That's a long time to have buyer's remorse, let me tell you. 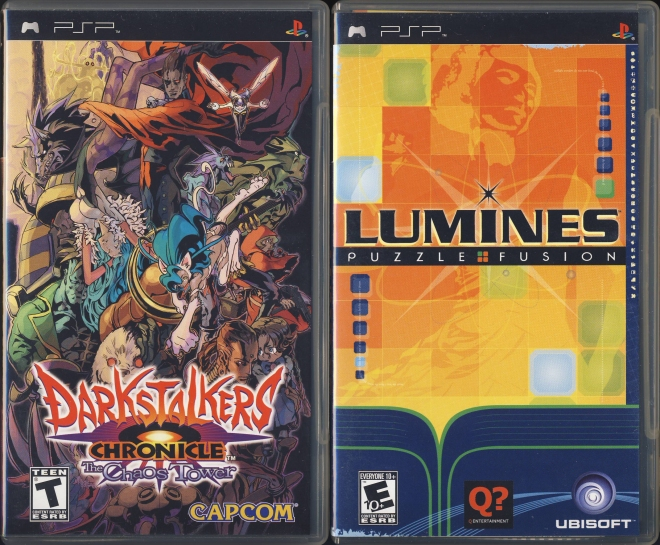 On launch day I bought Darkstalkers Chronicle: The Chaos Tower and Lumines Puzzle Fusion. Darkstalkers was okay, but I had more fun with Lumines than I was expecting. The PSP was like the DS in that the launch lineup and launch window were pretty poor. I ignored the PSP for a while around the middle of the system's life and then checked it out again around its demise and discovered that a ton of really interesting games had come out for it. Around that time my collection probably tripled in size. I didn't buy a 360 at launch. I waited a while. The day I bought the 360 I bought Condemned: Criminal Origins, Kameo: Elements of Power, and the steel book Perfect Dark Zero. The 360 was my console of choice for that generation. I was also addicted to acquiring achievements, an addiction which has now become trophies on the PlayStation 4. The Xbox 360 is one of the systems I own the most games for, currently totaling in at 300. PlayStation 3 is something I had to do a lot of convincing to myself I needed. I already had an Xbox 360 as my main console, so I thought if I buy anything on PlayStation 3 it would have to be something I couldn't get on the Xbox. I also set a weird rule for myself that it had to have 15 games for it I wanted before I'd get one. 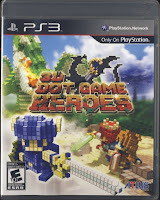 I actually started buying games for the system before I even had one, and 3D Dot Game Heroes was the first game I bought for it. At this point Nintendo hadn't really done me wrong, so there was no question on whether I'd buy a Wii or not. On launch day I picked up The Legend of Zelda: Twilight Princess, Metal Slug Anthology, and Trauma Center: Second Opinion. Wii Sports was also a pack-in game. I actually liked the Wii for a while, but it's ultimately what soured me on Nintendo. I haven't felt the same about them since. 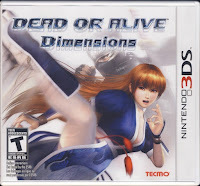 I can't think of anything I bought for the 3DS right away other than Dead or Alive Dimensions. I was an early adopter for the 3DS, and I was not happy with it. I kind of hated it, actually. 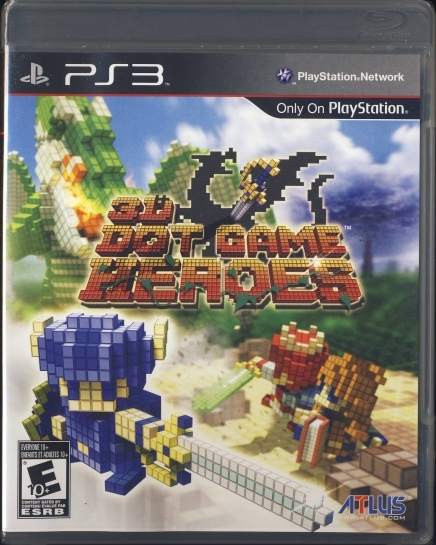 I felt the system was extremely uncomfortable, the price was outrageous, the d-pad placement was awful, the 3D effect wasn't good at all, and it didn't have any killer titles available for it. It wasn't until the 3DS XL came out that I really got into it. As was the case with the PlayStation 2 and 3, I had games for the PlayStation Vita before I even owned the system itself. 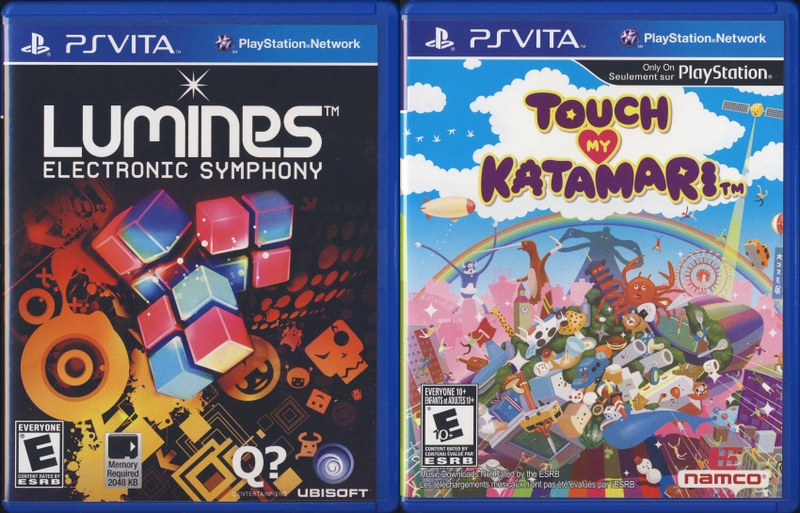 I knew I was going to get one at some point, so a bit after launch I picked up Lumines: Electronic Symphony and Touch My Katamari. 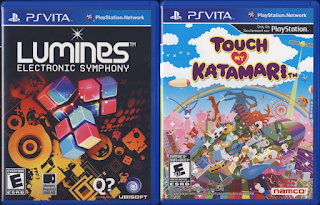 Lumines was a nod to the launch of the PSP, and Katamari, well, I just love the series. Eventually the Vita became my favorite handheld system between it and the 3DS. There's so much great software for it and it's a mighty little system. If there was ever a system I needed to convince myself I needed, this was it. I almost felt ashamed when I bought it. I was burned so badly by the Wii that I was pretty much convinced Nintendo would never be redeemed. 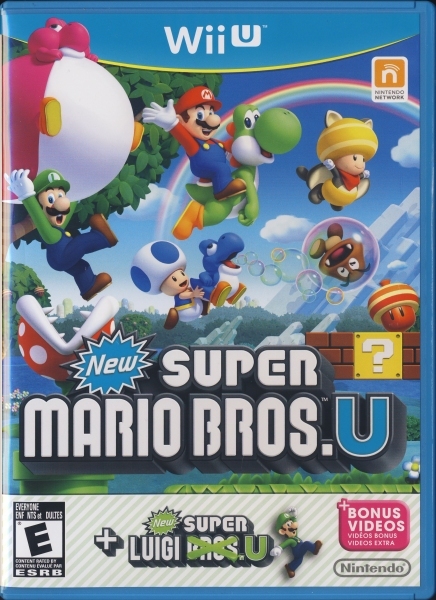 I had the money, I guess, so I bought a Wii U and it came with New Super Mario Bros. U + New Super Luigi U. The Wii U is pretty rotten to me, and for me this system put the final nail in Nintendo's coffin. I will not own a Switch, and nothing anyone can say to me will convince me otherwise. The Switch is absolutely terrible and I wouldn't even take one for free. It was a choice between the PlayStation 4 and the Xbox One back in 2013, and Microsoft had too many things that I didn't like about the One, so PlayStation 4 was my console of choice. 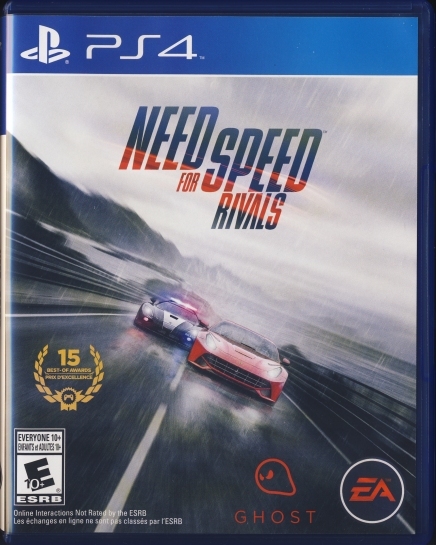 The launch lineup was pretty rough, so I ended up choosing Need for Speed Rivals as my first game. I really enjoyed Need for Speed: Hot Pursuit on Xbox 360, so I figured I'd enjoy Rivals. I... wasn't as taken with it as I had hoped I'd be. Hot Pursuit was, and still is, my favorite Need for Speed game. Now, I would be lost without my PlayStation 4. I love it so much. And that's every system I own! I don't know if this was all that interesting, but it was fun to try to remember what the earliest games I had for each system were.